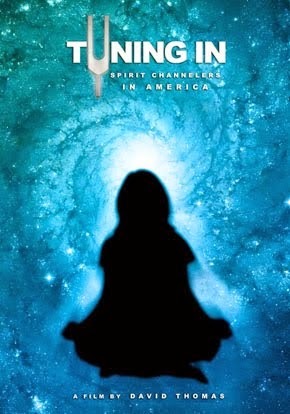 'Tuning In : Spirit Channelers In America' is a truly unique feature length spiritual documentary, the result of 10 years of inquiry into the phenomenon of spirit channeling by filmmaker David Thomas. Channeling is a practice dating back to antiquity wherein an individual, usually in a trance state, makes a psychic connection with a spirit being. The "channeler" is then able to act as a dimensional go-between in bringing other humans in contact with the entity, as well as interpreting messages from the entity. For the very first time, six of America's prominent channelers are featured in the same film in order to gain insight into the phenomenon, as well as the information being received. They are Lee Carroll : channel for Kryon, John Cali : channel for Chief Joseph, Shawn Randall : channel for Torah, Darryl Anka : channel for Bashar, Geoffrey Hoppe : channel for Tobias and Wendy Kennedy : channel for the Pleiadian Collective. Wayne Dyer : The Power Of Intention ! I enjoyed this documentary. It's something that we should all go back to occasionally to remember who we are and why we're here. I sometimes forget ;-) Thanks! Thank You for sharing!! So inspirational!! wow... this brought tears to my eyes, cause its the affrimation i needed with all the searching i've been doing.